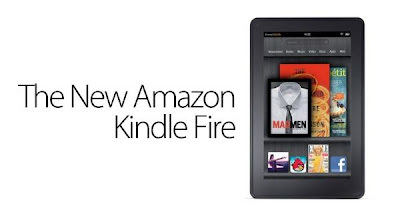 Amazon reportedly is preparing the release of the second-generation Kindle Fire tablet in the second quarter (Q2) 2012. According to reports from Apple Daily, Quanta Computer as the largest computer manufacturer in the world, had given orders to begin production of the Kindle Fire 2. As reported by Tech Radar, Tuesday (11/15/2011). Since Amazon increased its orders for the Kindle Fire, the company recently added one of casing suppliers, Nishoku in the supply chain. According to reports Nishoku will start sending the chassis components at the end of 2011. The Kindle Fire has just been released in the United States (U.S.), while the launch in the UK is still unknown until now. Something that would be interesting is whether the users in the UK will gain the first-generation Kindle Fire, or have to wait for Amazon launched the second generation simultaneously. Unfortunately, there has still not been officially announced by Amazon, about the specs of the Kindle Fire 2 and what the fundamental difference between the first and second generation of the Kindle Fire.